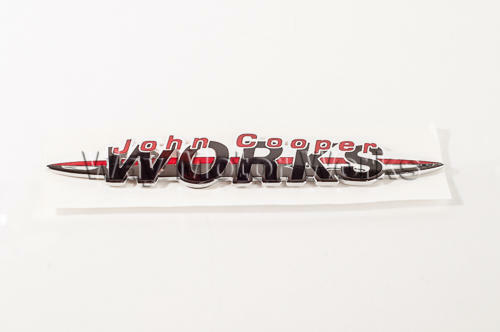 John Cooper Works Rear Badge. This is the metal JCW badge that came on the rear boot on the JCW MINI. It has double sided tape that sticks it permanently to your car. sold as individual JCW boot badge as seen in picture.